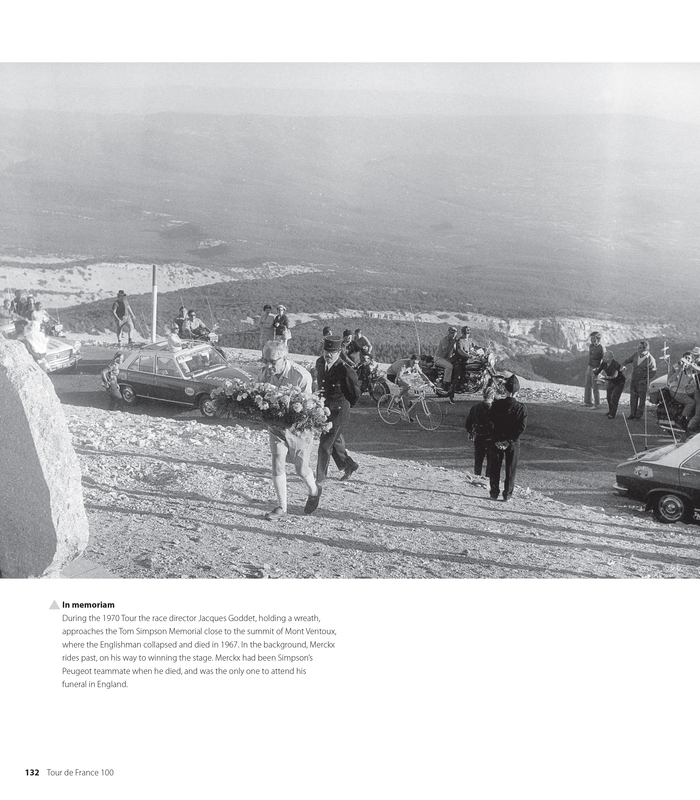 During the 1970 Tour the race director Jacques Goddet, holding a wreath, approaches the Tom Simpson Memorial close to the summit of Mont Ventoux, where the Englishman collapsed and died in 1967. In the background, Merckx rides past, on his way to winning the stage. Merckx had been Simpson’s Peugeot teammate when he died, and was the only one to attend his funeral in England. 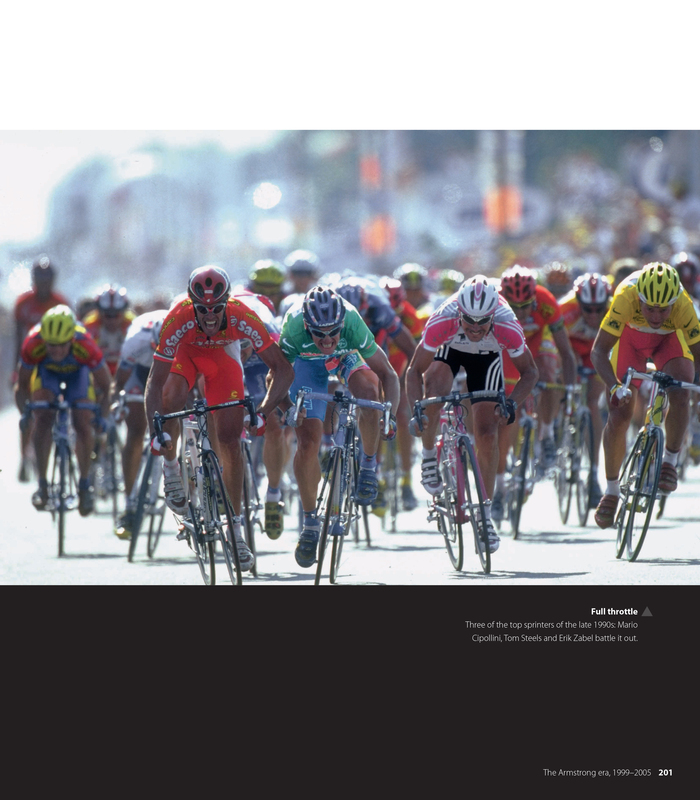 These photos can be found on page 132 of Tour de France 100.